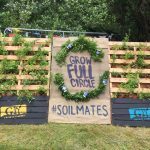 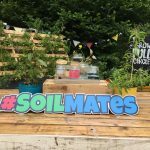 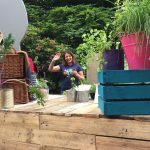 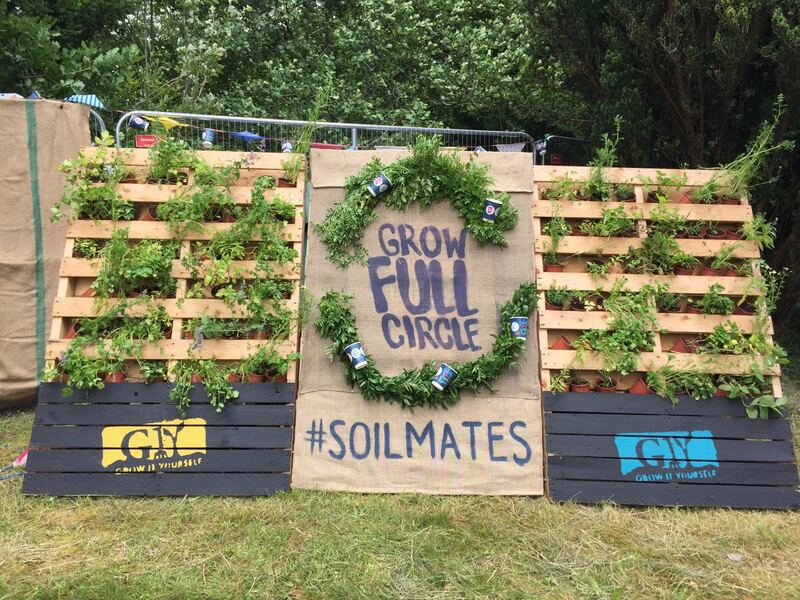 This June, we teamed up with the gardening Masterminds at GIY, to create a fun, engaging, eco-friendly installation, for Body and Soul ’17. 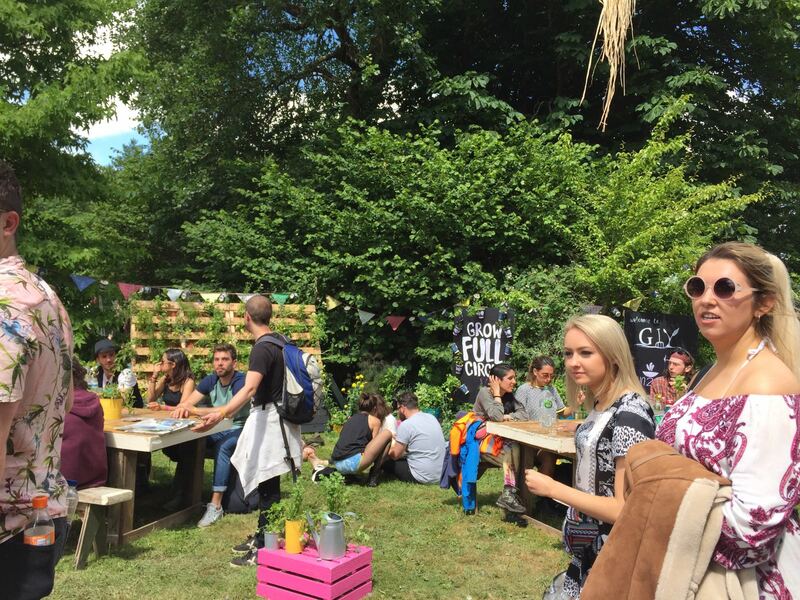 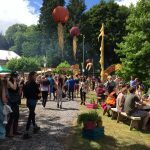 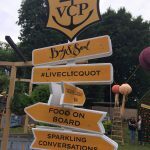 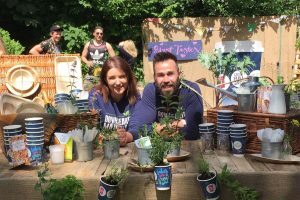 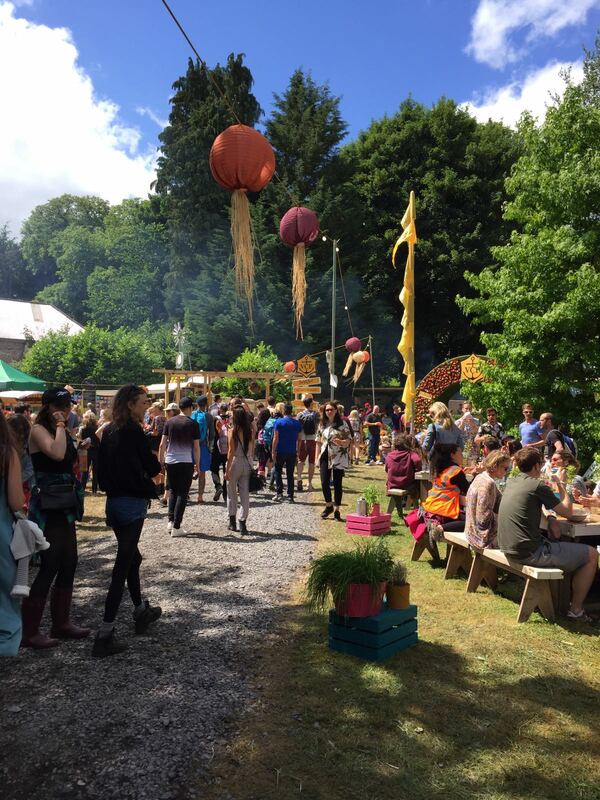 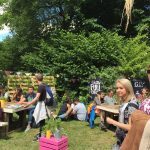 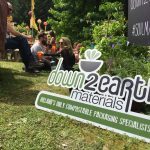 The eco-element at Body and Soul is called Food On Board, owing its name to a want for less waste in the world. 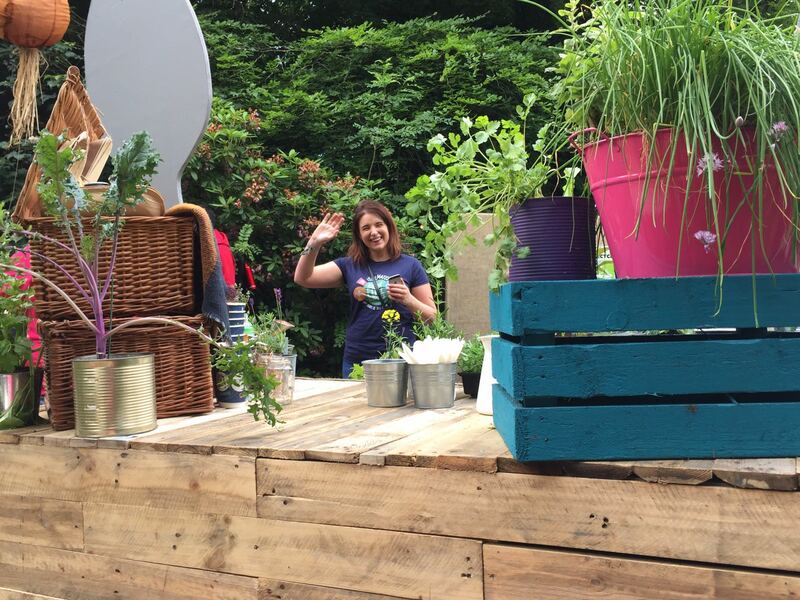 Each dish is served on a wooden board, then washed and reused, with all food waste composted on site. 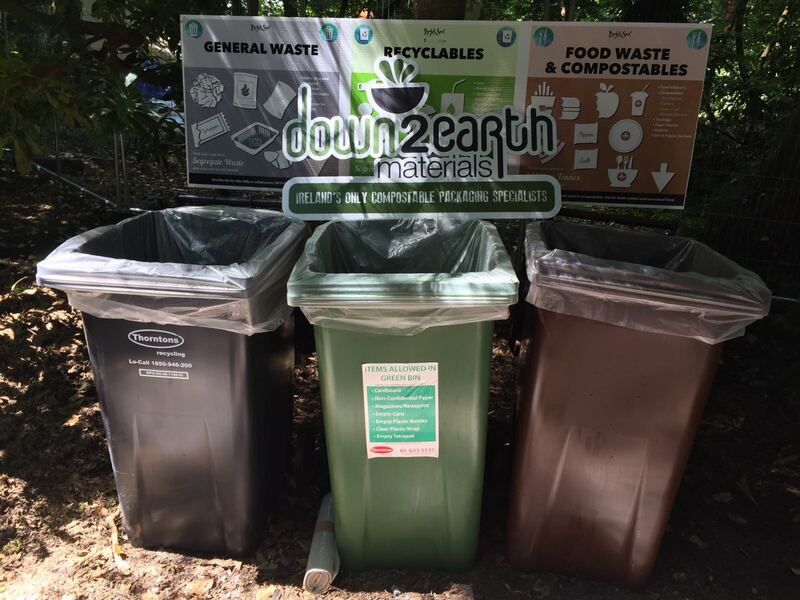 Enter Down2Earth Materials! 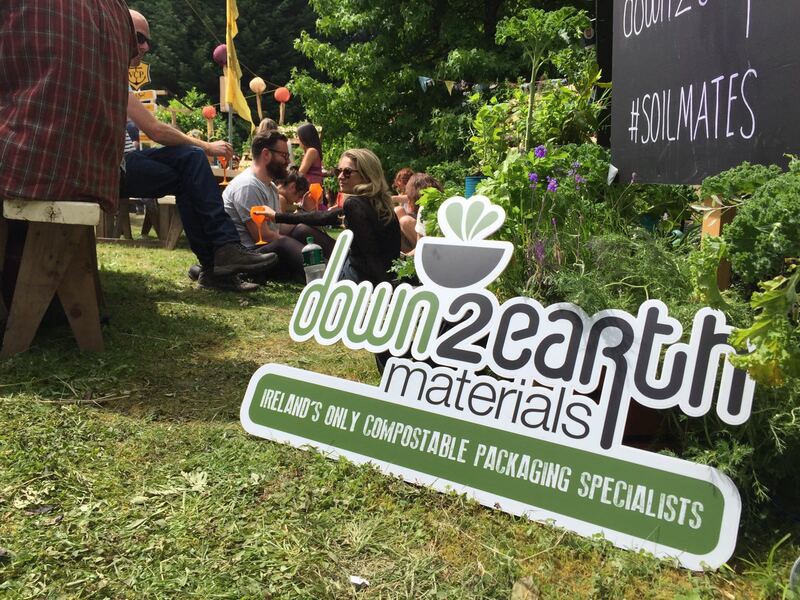 Our compostable food packaging was used across the site, to make the space entirely zero waste. 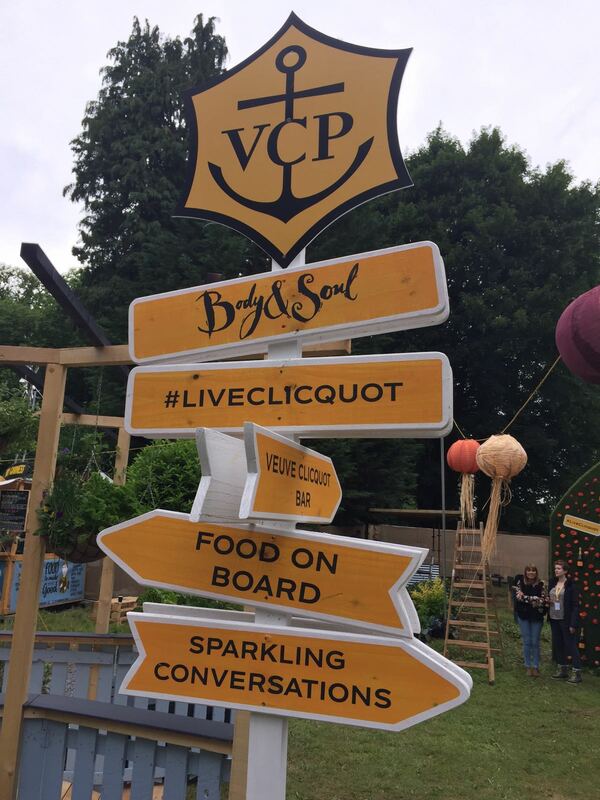 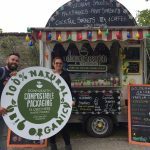 Food on Board is the brainchild of the incredibly passionate Jack Crotty, from The Rocket Man Food Co. in Cork. 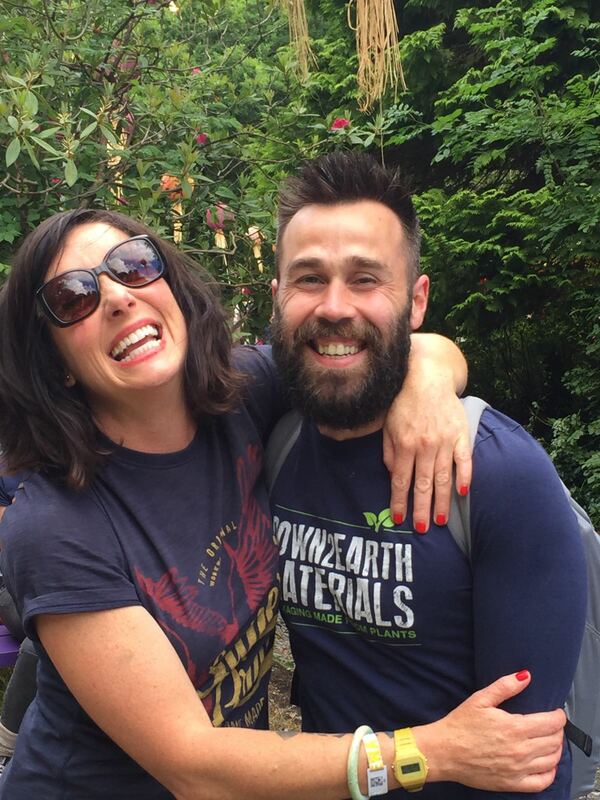 We couldn’t have been happier to have worked with him on this project. 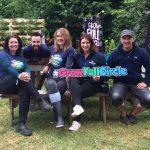 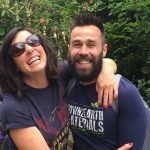 Similarly, linking with GIY was a no-brainer; they love our planet, our plants, our gardens, our environment and so do we! 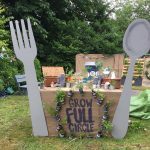 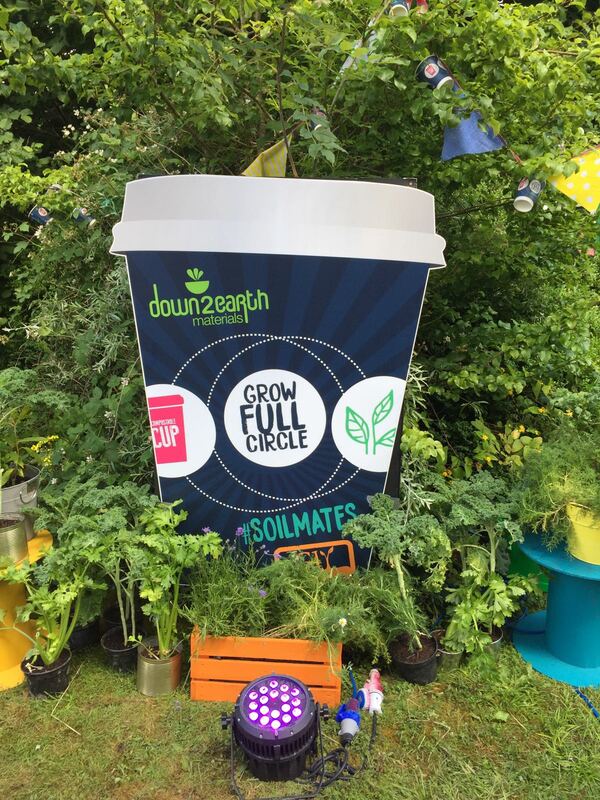 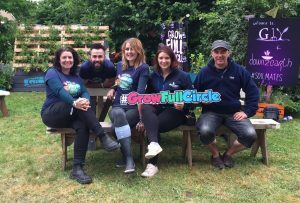 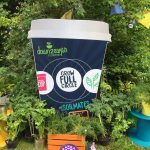 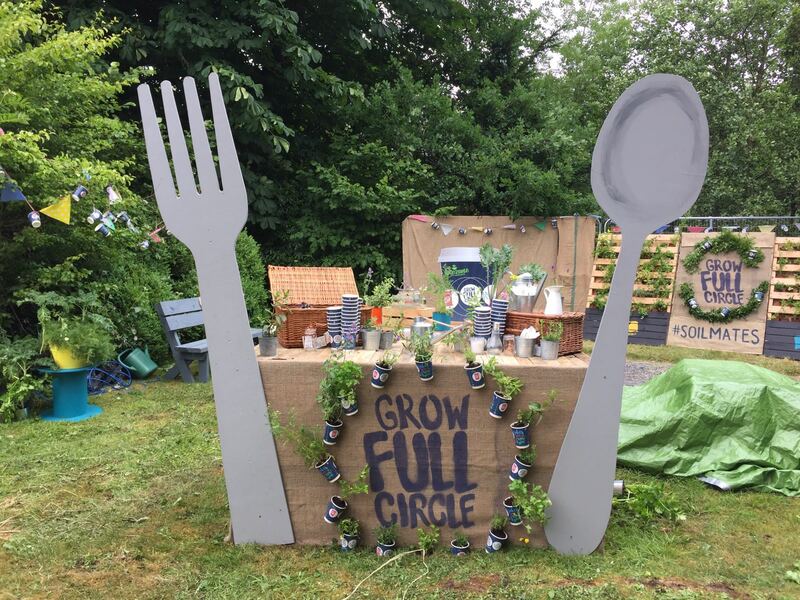 We came up with a beautiful installation called Grow Full Circle, inspired by compostable packaging and its natural life cycle – from plant, to compostable cup, to nutrient rich soil, right back to plant again. 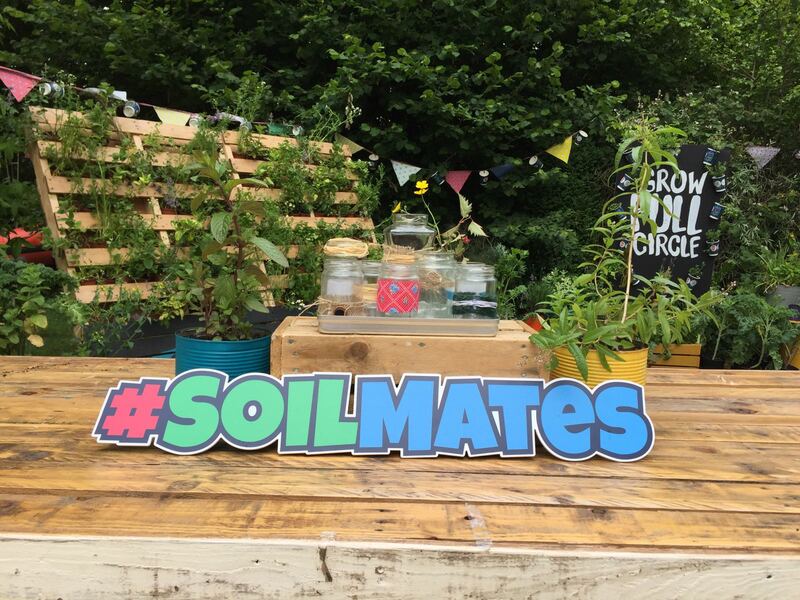 Hence, GIY and Down2Earth became #SoilMates! 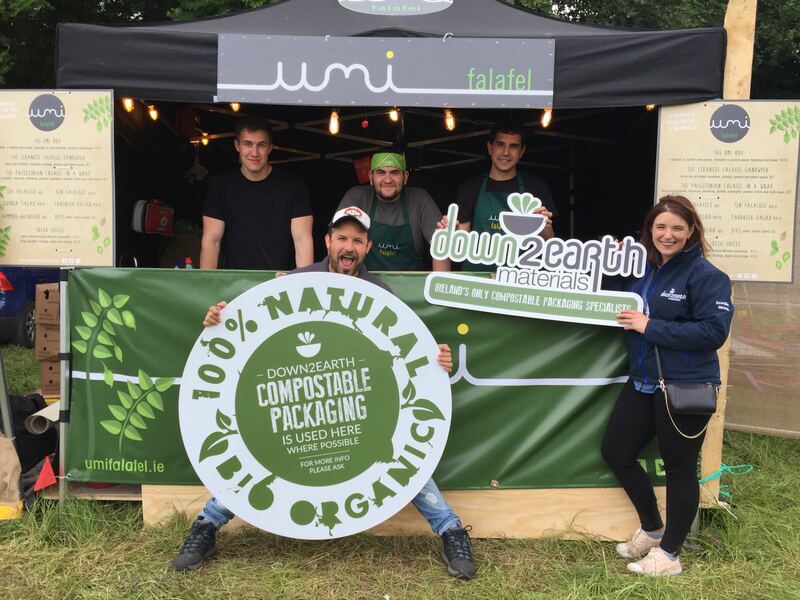 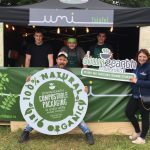 We sought to create a general awareness around the existence of compostables, as a viable alternative to single-use plastics in the food service industry. 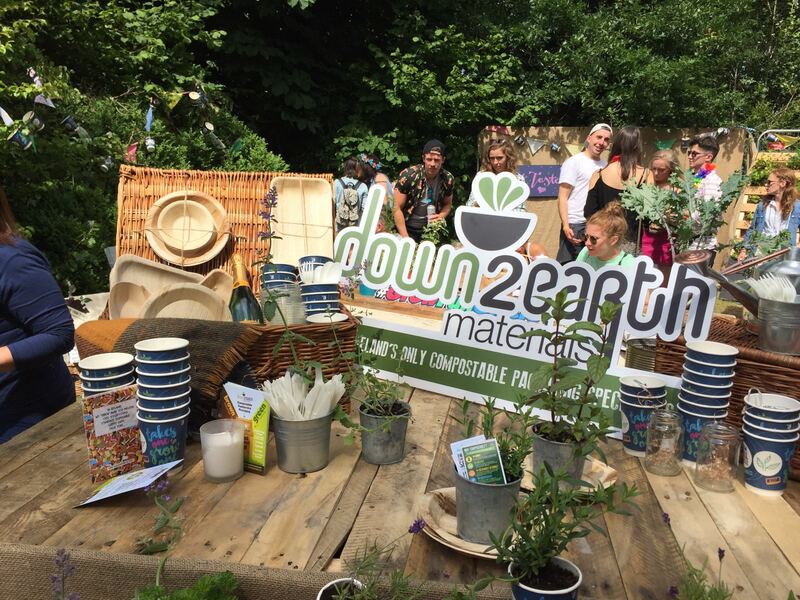 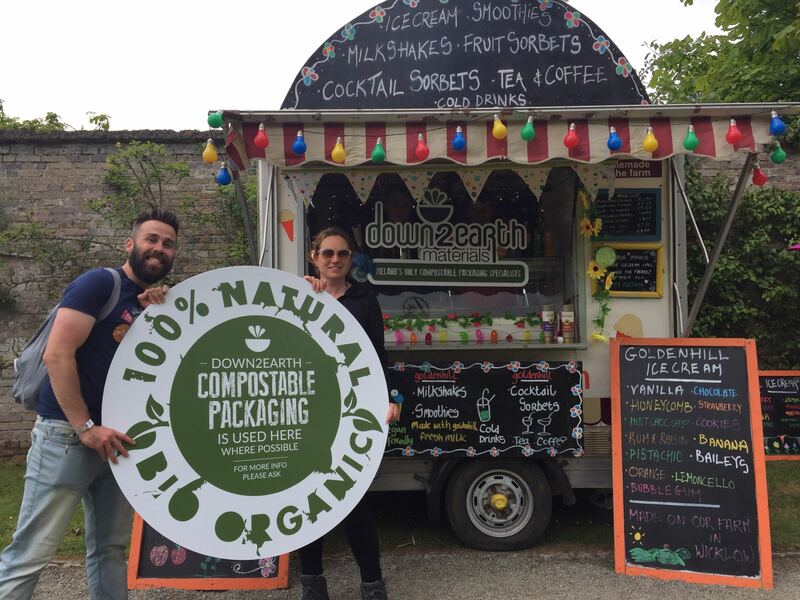 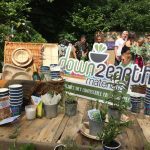 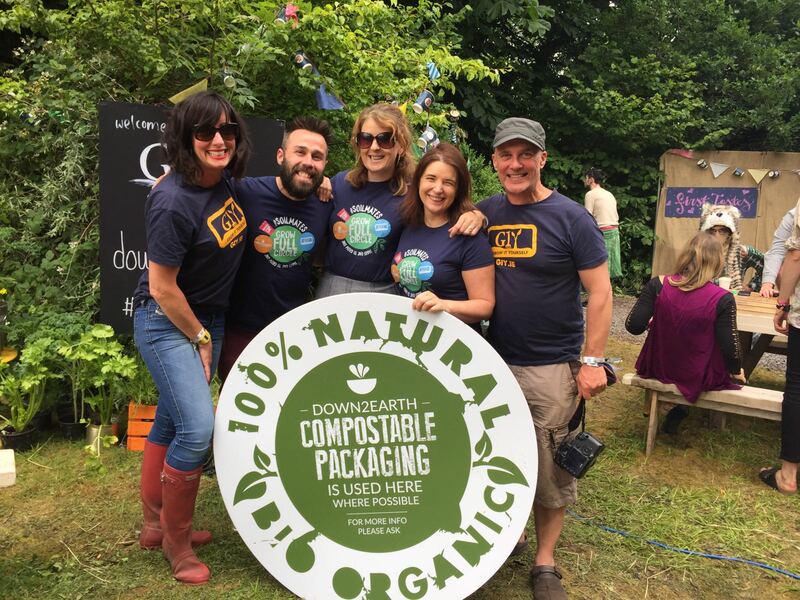 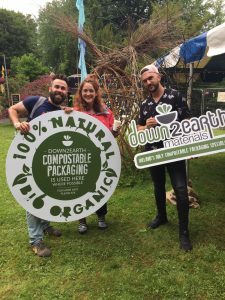 Team D2E were on hand to assist with the correct disposal of the compostables, to pay a visit to some of our superstar customers and to create an eco-friendly educational space. 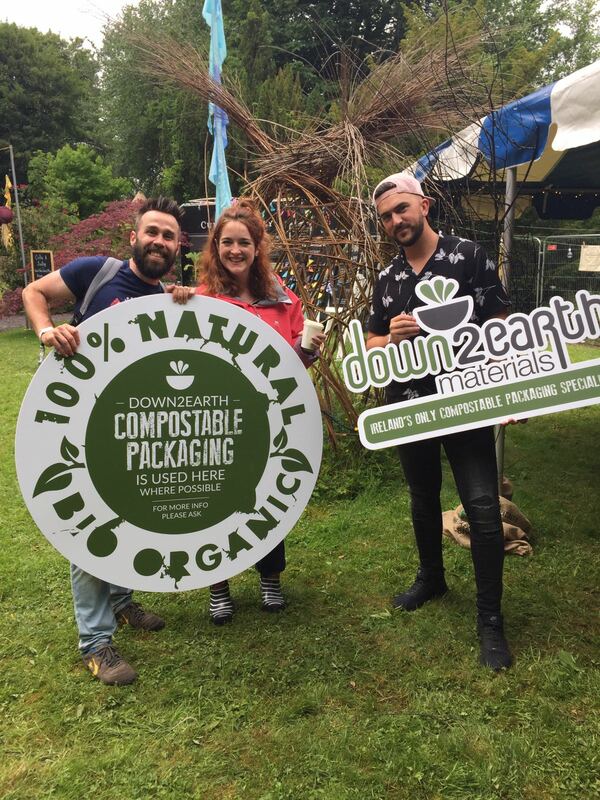 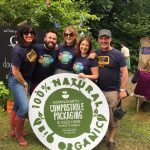 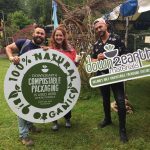 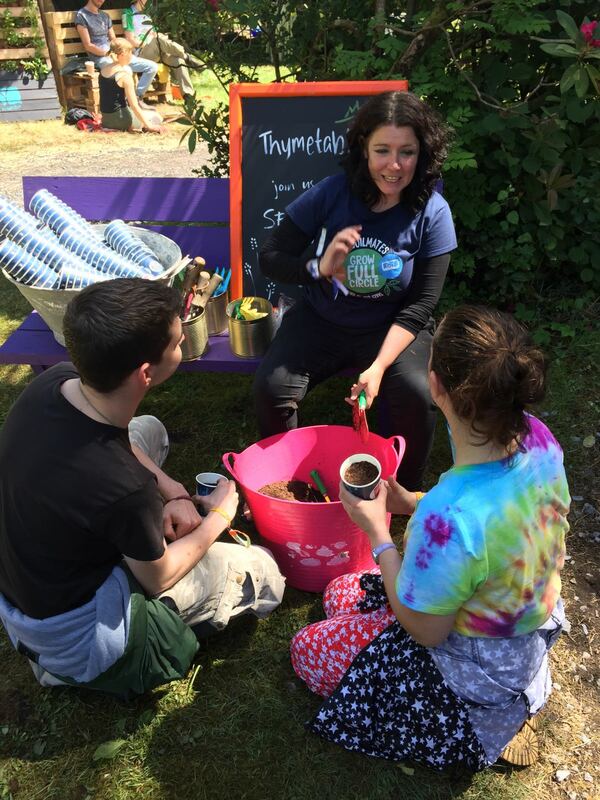 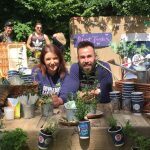 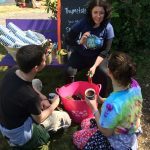 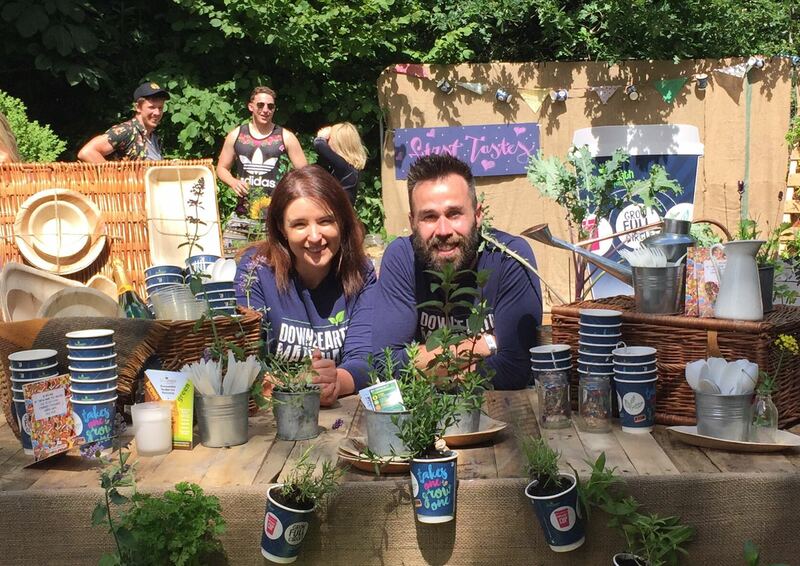 Our mutual love for the environment rippled throughout the grounds of the three day festival, and we really hope to have spread a positive message! 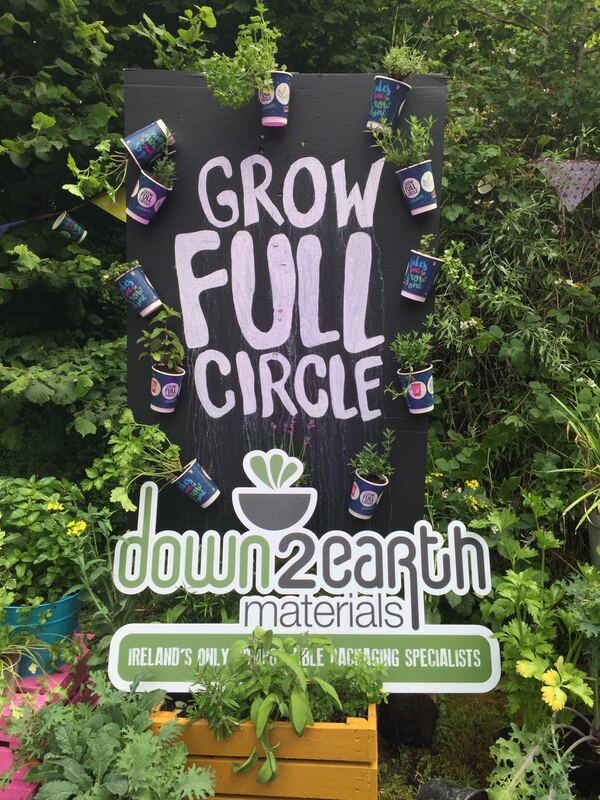 This message was simple; we can all help to make a difference to our environmental crisis. 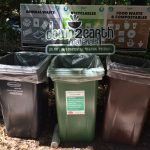 Let’s seek out eco-responsible cafes! 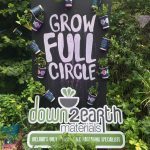 Look out for our official window sticker in participating cafes, that actively use Down2Earth compostable packaging, in place of plastic.